A U.K. retailer has previewed four upcoming cases for the Nexus 7, a few of which haven’t yet been seen. MobileFun has released photos of the Bluetooth keyboard case which has rubberized keys for added “splashproof” protection. 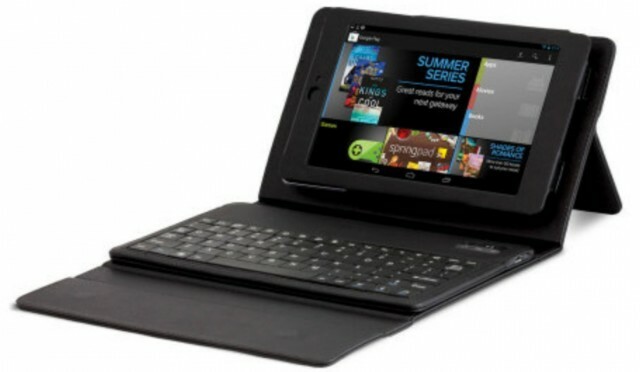 Like the BlackBerry PlayBook keyboard case, the leather outside has a kickstand to orient the tablet in landscape mode at an appropriate angle for typing. The keyboard case will retail for £79.95 which works out to around $125CDN, a steep price to pay for a Bluetooth keyboard. We’re hoping that it comes to Canada for a lot less. 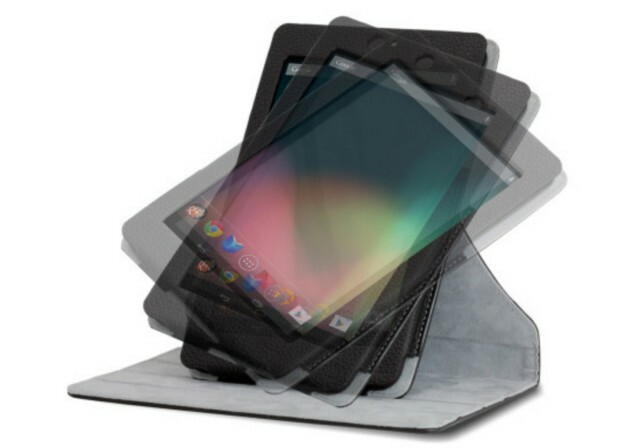 The Rotating Case clips onto the back of the Nexus 7 and allows for orientation in both portrait and landscape mode. It’s made of a “leather effect material” which likely means a textured soft rubberized plastic, but it should protect your Nexus 7 from scratches and falls. Should retail for around $50. All cases are made by Asus directly, so they should fit the Nexus 7 perfectly. There’s also a Folio Case and an official Stand Case up for grabs, so head over to MobileFun for all the details.